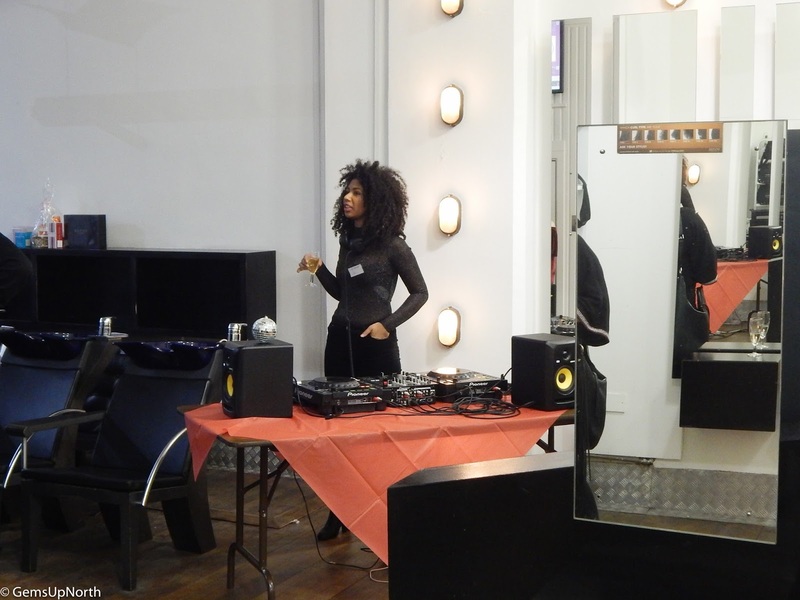 Recently I was invited to the launch of Restora at Nicky Oliver Hairdressing in Manchester's Northern Quarter. 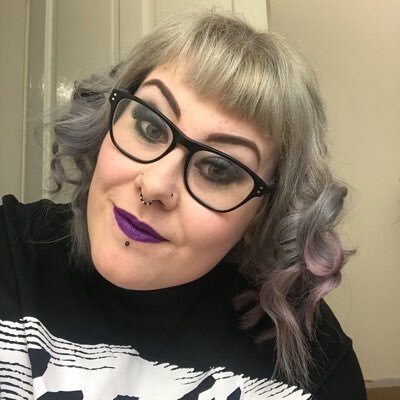 Nicky Oliver Hairdressing is a beautiful and big salon with friendly and helpful staff. The event started with glasses of Proceco or orange juice and a DJ mixing the latest tunes. 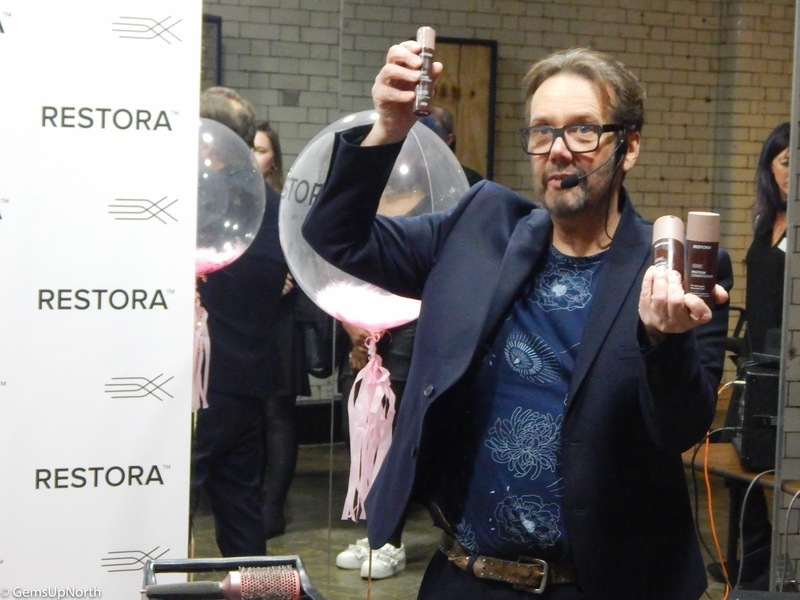 Once everyone arrived we was introduced to Nicky Oliver himself and given a description of Restora hair products, he also told us how Restora came about. 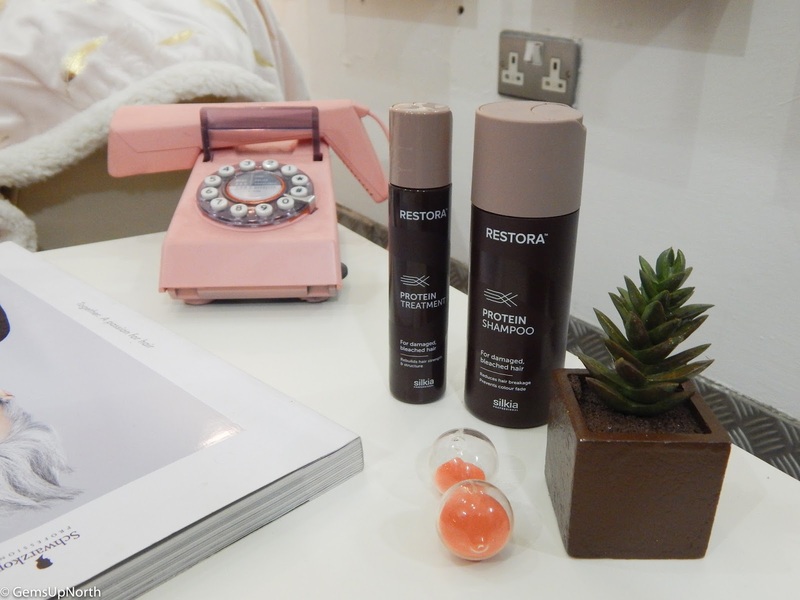 Restora is a Manchester born brand that reverses damage on your hair and brings life to tried and dry hair. The Restora Protein Treatment rebuilds damaged and bleached hair with an at-home treatment and no salon appointment. 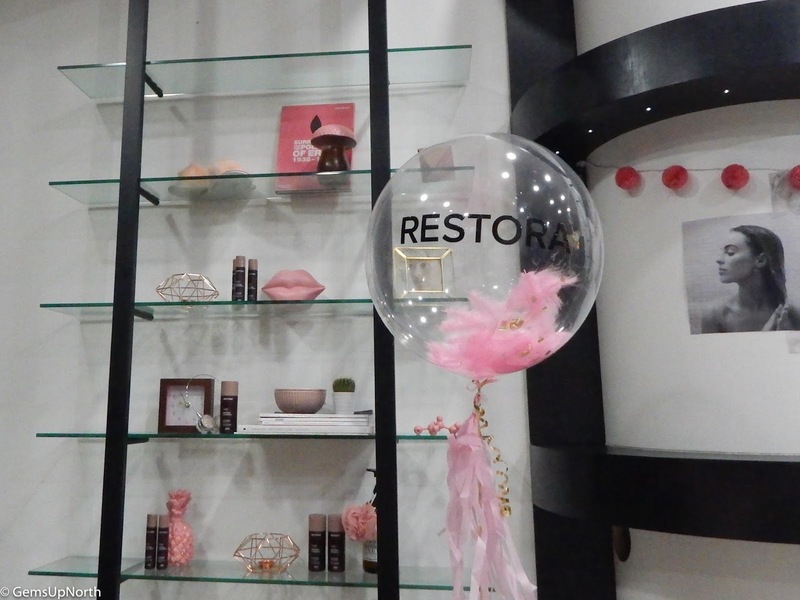 These Restora products started there life in 2013 when a team of chemists in Manchester began research into causes of inner cuticle hair damage and how to restore the hair back to normal. Restora's Protein Treatment is based on Cystine science, an essential amino acid and works on the internal structure of the hair to make it strong and healthy again. With the help of Restora shampoo and conditioner the products promise to restore damaged hair, tackle frizz and repair split ends. The treatment lasts up to six weeks and only takes 45 minutes to process; this is a lot quicker than in-salon treatments which could take hours. After the arrival part of the event all the guests was shown a demonstration of the protein treatment shot. Nicky Oliver demonstrated on a model with very brittle, dry and damaged hair, we was able to feel the models hair before any products was applied. The models hair was washed with the Restora shampoo which works with the treatment to restore the hair, then the shot was applied to her hair. The shot is a single use treatment and the whole product was massaged into the hair before covering with a head-cap which is provided with the treatment. 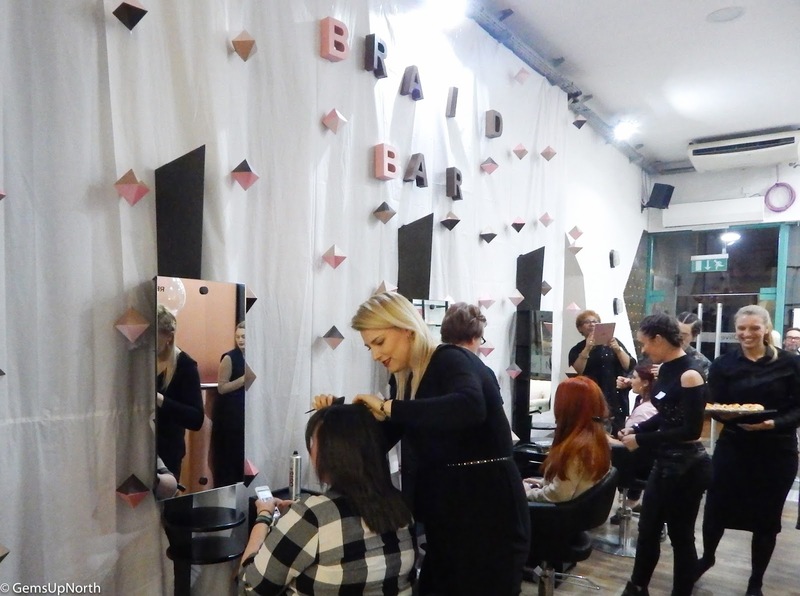 Whilst the treatment was working into the hair for 30-45 minutes we was all treated to more drinks and food whilst mingling with staff and other guests. The salon has a braid bar so me and my plus one took full advantage of this and had our hair braided. The stylist braided 2 braids on either side of my head and pulled them to create a bolder and bigger look; I actually kept these in until the next day because I was so pleased with them and the style. There was tasty canopies being served and more drinks which was all fabulous, the DJ was back playing up to date music too. 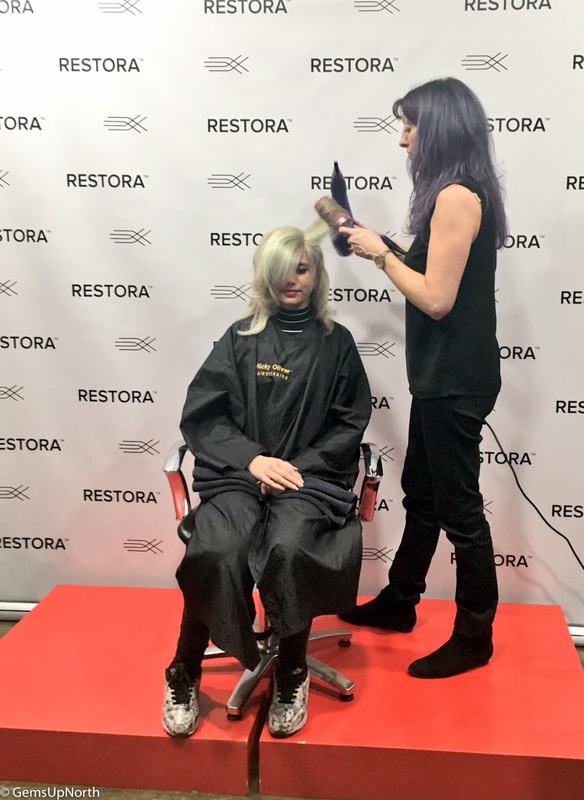 Once the processing time was up, the models hair was washed again using the Restora Shampoo and Conditioner and blow dried in front of us. We was then able to feel the hair and see the difference the treatment had made. Before the treatment the models hair looked and felt damaged and dry but after the treatment the hair was soft and luscious and looked really healthy. I am blown away by the softness of the models hair towards how it felt before, for anyone with really damaged hair this product is something you should try to restore your hair. The evening ended with Nicky Oliver giving out a few prizes, I was pleased to win a Ralph Lauren perfume! Everyone was gifted a goodie bag which included the Restora hair products so I will be writing a review of my own experiences with them soon; make sure you check back for that. 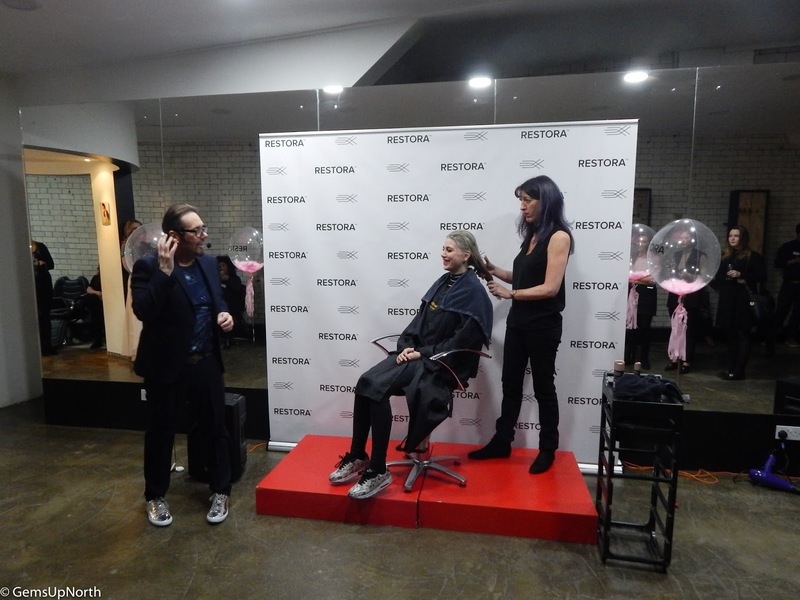 Thank you to Restora and Nicky Oliver Hairdressing for inviting me down for the launch, me and my guest had a fabulous time and learnt a lot about the new Restora products; I can't wait to try the treatment for myself. I was truly impressed with the brands results at the event, I will be reporting back how my own experiences have gone using it but I have high hopes and no doubts it will work on my damaged hair. You should definitely give it ago to restore your split ends back to luscious locks :) I also hate going to the hairdressers I get very anxious about going so avoid it all costs. Thank you for reading and for leaving such a detailed and lovely comment, truly thankful for the support you give me.